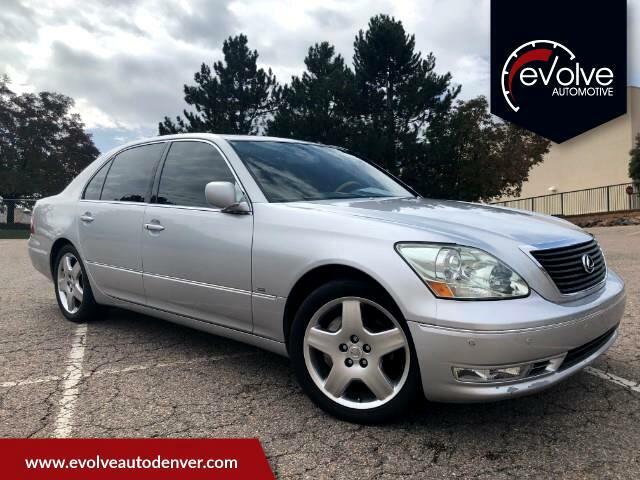 Thank you for looking at our 2004 LS430!!! Hard to Find an Old Sedan Like this and Look so Good!!! It is Equipped with a 4.3L V8 DOHC 32V, 6 Speed Automatic Transmission, Leather, Navigation, Rear Camera, Front and Rear Parking Sensors, Rear Sunshade, Heated and Cooled Driver and Passenger Seats, Sport Suspension, Power and Snow Mode, Mark Levinson Sound System, Dual Climate Controls, Rear Vanity Mirrors, Steering Wheel Controls, Woodgrain Decor, Power Folding Mirrors, Cargo Net, etc.. We Have done the Timing Belt and other issues that Needed Done to Make This OLD SOUL PERFECT!!!! !